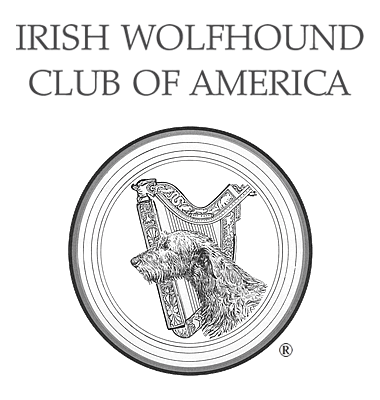 Irish Wolfhound Puppy Placement Age - Irish Wolfhound Club of America, Inc. There are several reasons why it is recommended for Irish Wolfhound puppies to be placed in their new homes between 10-12 weeks of age. Many other breeds recommend 8 weeks as the correct age for placement, but Irish Wolfhounds develop differently. Irish Wolfhounds develop more slowly than many smaller breeds. The developmental markers that we look for in healthy, well adjusted puppies ready for the challenges of a new home are a few weeks later than in other breeds. Mothers teach their youngsters about submission and how to get along with other dogs. Being with their siblings teaches puppies about how to appropriately interact and play with other dogs. Safe experiences with new things helps develop a more confident dog. Taking puppies from their mother and siblings too early may result in dogs with separation anxiety, difficulty getting along with other dogs and a general lack of confidence. Liver Shunt is a disease that occurs in Irish Wolfhounds and it is recommended that ALL Irish Wolfhound puppies are tested prior to going to their new homes. This testing is not always accurate until the puppies are about 9 weeks of age, therefore, we recommend placement age be after testing is complete. Read more about Liver Shunt in the Liver Shunt 101 and TODO - GET ADVANCED ARTICLE UP ON SITE AND LINKED TO HERE. Decisions on which puppy is best for which type of home cannot really be made until the breeder starts to see their individual personalities at about 7-8 weeks. Breeders can discover their strengths in temperament and conformation by observing their interactions, watching them move and play and noticing which puppies are first at an activity and which puppies need encouragement. By 10-12 weeks, the breeder has a chance to do the best match of a puppy with their new home.